Just a 10-minute drive from the very centre of the city this modern workspace is comprised of a mix of serviced offices, workshops and studios. All of the spaces available can be rented either furnished or unfurnished. Perfectly situated on Blake Street in the heart of York city centre, close to cafes, shops and restaurants. This is a beautifully restored Georgian building with office space ideal for freelancers and small businesses. The building offers grand meeting rooms with chandeliers and period features. 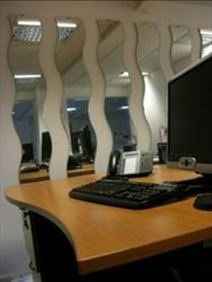 Offering virtual options and cost-effective desk space solutions. A wide variety of office space available on the edge of York. Situated on a business park on the outskirts of the city, the centre offers an extensive range of suites and sizes, in a convenient location providing easy access both to the city centre and to the surrounding area. A brand new, high quality building offers superb office accommodation in York city centre. Fully equipped to a high standard, with lifts, cooling/ heating, and toilet and shower areas. Conveniently located, with excellent road access, there is a supermarket and retail park in close proximity, while the rest of the city centre is within easy walking distance. York Railway Station provides excellent links to a number of destinations. 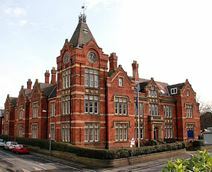 Unique office accommodation in restored Army headquarters in York. 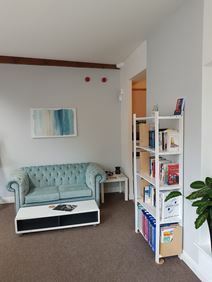 Built in the 19th century, but completely refurbished, the centre offers a complete range of offices in the city centre, only minutes’ from York's mainline train station. Set in the rolling North Yorkshire countryside, this centre gives young entrepreneurs/start-ups the chance to spend their day in a lovely working environment where networking, peer support and collaboration is encouraged. The centre has a variety of membership options on offer, whether you're looking for private office space, or co-working, or hot desking. There is also meeting room facilities, conference facilities and a breakout space. The centre is situated a stone's throw away from the Fulford Interchange (A64) and offers free parking. For public transport users, the centre is conveniently placed on the main York to Selby bus route. A brand new building offers a high standard of serviced office accommodation close to York city centre. Fully furnished, with complete reception and support teams, meeting groom facilities and ample on-site parking. Located on a business park, in an area which provides a full range of amenities, retail and restaurant options, and allows easy access to the city centre. York Station offers fantastic rail links to a number of destinations. Situated on the University of York Campus, this vibrant business space provides fully serviced and managed office space aimed at encouraging and supporting start-ups in the area. York is awash with places to eat and drink, as well as wonderful attractions, including the beautiful Shambles and the stunning Minster. On-site there are meeting rooms, an on-site management team and reception services with telephone answering. A varied mix of office accommodation within a long established business centre close to York city centre. Available furnished or otherwise. Complete with fully staffed professional reception. Ample free parking facilities provided. The city centre is easily reached, while there is a wide selection of amenities, including a retail park and supermarkets, on offer in the immediate area. This property offers fantastic serviced office space in the heart of York City Centre. York Rail Station is located a short ten minute walk form the work centre. The listing has many great amenities, such as a fully functioning kitchen toilets and fast broadband. There are many fantastic restaurants, bars and cafes within walking distance, perfect for lunch breaks or after work drinks. This ideal location also offers many cultural activities within close proximity. Situated in the centre of the historic city of York, and close to banks, eateries and retail, this centre offers two large open-plan workspaces in a comfortable courtyard setting. This centre makes business networking easy, and is also easily accessible by train, bus or private vehicles. 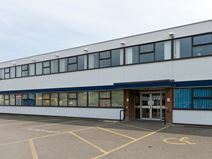 In the heart of York Business Park and offering fantastic road access to the A1, M1 and M62 this modern business centre provides a mix of workshops, studio space, and serviced offices (furnished or unfurnished) all just a 10-minute walk from York train station. 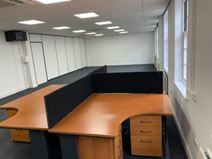 Situated just outside of York city centre, this centre offers potential tenants a first class option, with a range of office options available, all benefitting from the space's many amenities. The centre's studios give tenants their own entrance and facilities, whilst also giving them the opportunity to be part of the wider vibrant community. Tenants will have their own kitchen and meeting room. Tenants can take advantage of the park and ride service nearby, giving easy access to York city centre and station.